It’s never been about money. My desire to publish a book has never been about making a living as an author. In fact, it’s never really been about being an author at all. From the very beginning — the first word I wrote about my experience at my “dream school” and what led me there — my goal has been to use the story as a tool to get others to theirs. And it’s finally coming to fruition. To be accurate, it came to fruition in many ways back in November. 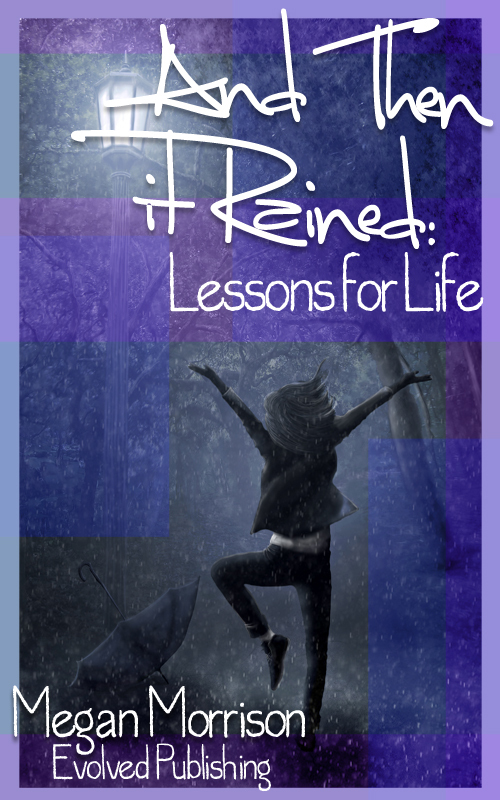 From the minute Evolved Publishing released And Then it Rained: Lessons for Life , it had the opportunity to make an impact. It could impart the lessons I’d learned as a young girl; it could inspire people to follow their dreams; and for those high school and college students in particular, it could serve as a comfort and reminder that they can overcome difficult obstacles to get to their own “dream college,” and stay there. Many of my readers talk about being inspired; students and graduates tell me they identify with the experiences I’ve shared, and so I know it can have an impact. Now, I know my book will have an impact… because I know where the proceeds are going. The proceeds were always part of the plan; again, it’s never been about making money for me. Yet I’d always thought that I would have to start my own non-profit to carry out that plan. After all, that’s where Sky Blue Mission came from; the idea that one day, I’d have an organization all about helping kids get to college. Imagine my surprise and excitement to find that there was already an organization out there with that exact same mission: The National College Advising Corps. The National College Advising Corps, with headquarters at the University of North Carolina at Chapel Hill, is an innovative program that works to increase the number of low-income, first-generation college and underrepresented students who enter and complete higher education. To date, the Advising Corps has served more than 189,000 students since its inception in 2004. In school year 2011-2012, 321 advisers representing 18 institutions of higher education in 14 states will reach over 110,000 students in 368 high schools. In short, not only is the Advising Corps on the same mission I am, they’ve found a successful strategy to carry it out. We had a saying at my former employer: “Don’t reinvent the wheel.” Don’t expend energy trying to do something that’s already been done. When I learned about this organization and their efforts, that notion struck me. Why not donate the proceeds to them? Why not take the time and effort I was going to spend getting my own non-profit off the ground, and instead put it towards helping them with their efforts that were already well on their way? Sky Blue Mission’s “mission” can be to help another like-minded organization, right? That’s what I’m doing. That’s why a check for my book’s first earnings is in their hands, and why I can now say it’s having a direct impact on getting kids to college. Let me tell you, it’s a pretty amazing feeling. Today is the anniversary of And Then it Rained: Lessons for Life; a day a few years ago when I sat down to write because I felt powerless. I’d been left with a void. I’d wanted, long ago, to help the person who’d helped me, the idol and friend who’d inspired me to dream about going to college so far from home. But I’d pushed her away, and found my motivation in something she ultimately didn’t do. I’d learned so many lessons, found unimaginable rewards in my collegiate experience; yet my failure to return the favor remained a crushing burden. How could I go forward having gotten so much, without giving anything back? That night, August 6th, I sat down to write eight pages that would form the backbone of a story I could use help other people. Today, with the help of the National Advising Corps, I know it is, and that idea makes me feel powerful. I’ve realized finally that it’s not about paying it back. It’s about paying all of those lessons, that incredible experience I had…. If you’ve purchased my book, you can officially consider yourself a supporter of The Corps! If you haven’t yet, there’s no better time; because every penny I earn from the sale of this book is going to them. Do you have a mission? What are you doing to carry it out? Oh, and stay tuned for more news about why the location of this organization also draws me to them. Hint: I chose the name “Sky Blue” Mission for a reason.